Very simple, yet complex: it's a tongue-twister, you see. 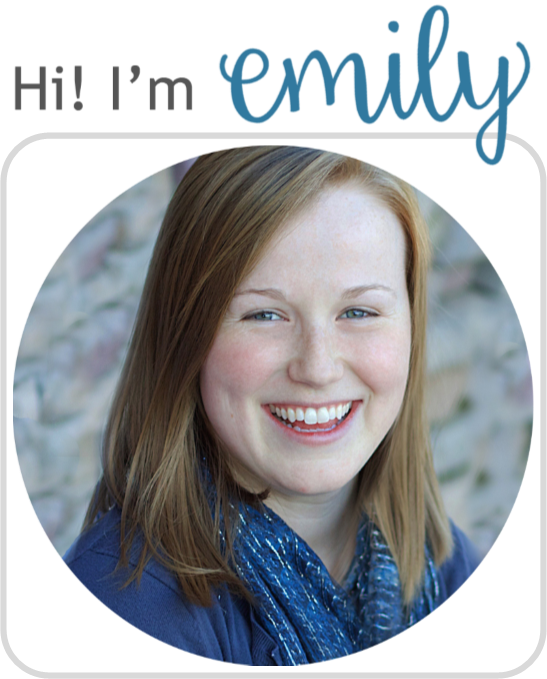 While there's a very sparse, simple story (hey look, animals playing), you'd definitely want to practice it a time or two before reading it aloud to an audience. But what really shines, at least in my opinion, is the illustrations. Appelhans has seriously outdone himself with some beautiful, simple watercolors. 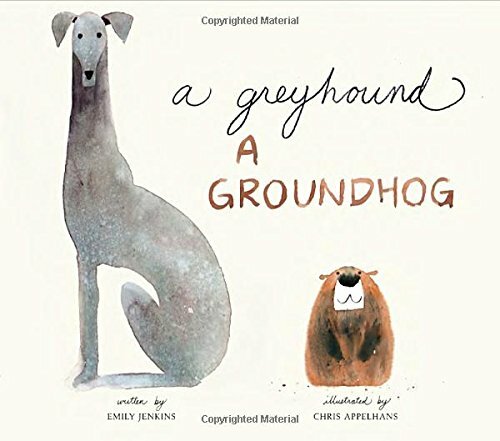 I didn't think a greyhound and a groundhog could be so gorgeous. Seriously. There's so much motion and movement on the page, emotion and play...the "astound and astound!" at the end of the story applies to the two animals as well as the reader. I really enjoyed the art with this one and will be keeping my eye on it for Caldecott buzz (never too soon to be thinking about that, right?). The children want to go to the park with Grandad, but they can’t leave until they find his lost socks…and his shoes…and even his teeth! Will they ever get out of Grandad’s busy house? 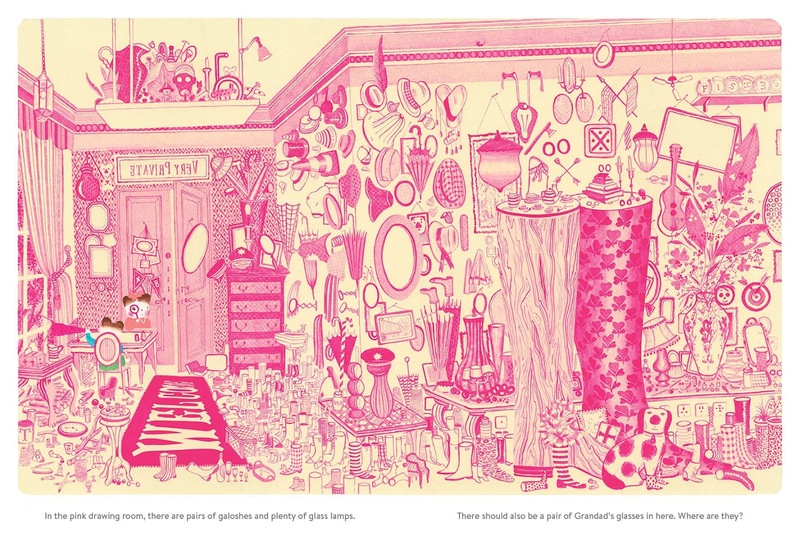 With a trove of wonders to discover in every room (that is to say, on every page), this seek and find book will enchant young and old alike as they search for Grandad’s lost objects. Ah, if only your computer screen could comminute how neon-bright all of these pages are! The bright, monotone colors for each room make the seek-and-find that much more of a challenge. The controlled chaos shows Cronin's serious talent for creating a beautiful page of art. I had a lot of fun with this one. While it's not necessarily a storytime readaloud, make sure to pick it up for your kids and have as much fun as they do, trying to find every item (seriously, even my husband was sucked into the challenge of finding everything). 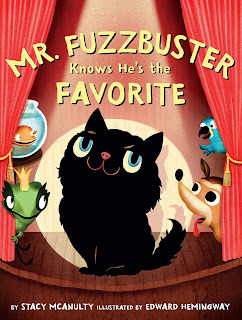 "To prove he’s still Lily’s favorite, Mr. Fuzzbuster will have to ask her, but will her answer surprise him? 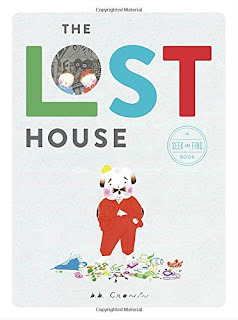 This funny, heartwarming story is for every child who has ever wondered if there’s a favorite in the house." First of all: Mr. Fuzzbuster. I'm sorry, but is that not the best name for a cat ever? So you know it's good when it's starting off on that foot. The story, the pacing, and especially the ending then cap it off: this is totally a new favorite. Yep, I said it. Favorite. Because you can have more than one! 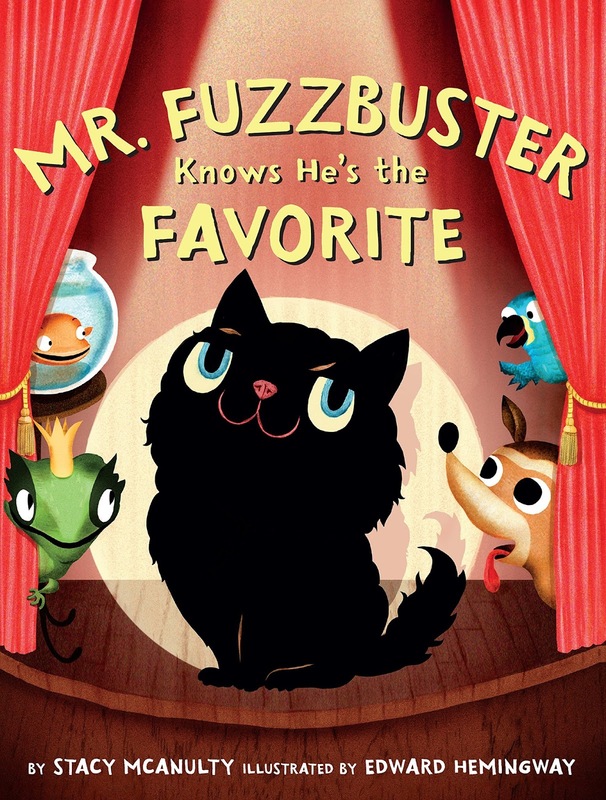 Mr. Fuzzbuster and kids alike will have fun learning a great lesson about relationships while also laughing at the funny antics of this cat. The illustrations are comical as well. I didn't love the overly digital aspects of some of it, but I did love the great emotions that Hemingway captured. Especially Mr. Fuzzbuster's face on the last page. Read it, and you'll see what I mean. 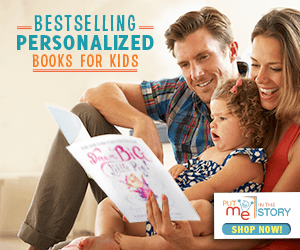 A great book for a one-on-one with your favorite child (just kidding) or in storytime.